ServiceMaster Commercial Cleaning is proud to provide a variety of commercial cleaning services to the Wytheville community. Since 1996, our professional cleaning services have helped businesses maintain safe, clean spaces they are proud to show off to their customers and clients. From hospitals, medical facilities, and schools to office buildings and industrial facilities, ServiceMaster Commercial Cleaning’s expertly-trained cleaning professionals have the knowledge and experience to handle everything from upholstery cleaning and chewing gum removal to explosion-proof vacuuming. 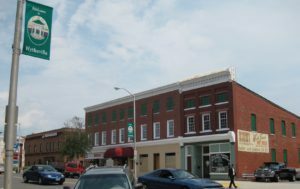 Contact us today to get a quote for your commercial cleaning solution, or read more about the various services we provide to Wytheville businesses below. We provide superior janitorial cleaning services to over 175 facilities, including Wytheville and the surrounding areas. Since our beginning in 1996, we’ve perfected two primary systems and processes in janitorial cleaning: capture and removal cleaning and performance-based cleaning. Our capture and removal method is a high-productivity, environmentally-friendly approach that results in a proven 25% reduction in cleaning time as well as a 55% increase in the number of airborne particulates captured vs traditional cleaning methods. Our professional carpet cleaning services have served the community for over 20 years. Using environmentally-friendly products, we can help restore carpets to their natural textures and appearances while removing any current spots and stains. Commercial carpet cleaning can also reduce the impact of wear in high-traffic areas, reduce the spread of bacteria and mold, and even extend the life of the carpet by years. Our professionals use Scotchgard™ carpet protector to prevent any future spots and spills from causing permanent damage as well. Quality carpet is an investment, and our goal is to help businesses protect that investment! Properly maintained hard-surface floors can present a professional image, contribute to a healthy workplace, and even improve safety in the work environment. Our floor care experts can clean a variety of different surfaces, including sheet vinyl, VCT, luxury vinyl, linoleum, rubber, asphalt tile, and “no wax” floors. ServiceMaster Clean provides varying levels of service, from daily maintenance of dust mopping and wet mopping to periodic maintenance of scrubbing and recoating to a complete strip and wax floor refinish. To best meet the customer’s budgetary and appearance expectations, we are happy to create tailored floor maintenance programs. Upholstery collects contaminants like oils, dead skin cells, and dust. Regular upholstery cleaning can help remove these contaminants, but because upholstered furniture comes in a wide variety of textures and fabrics, choosing the correct cleaning method can often be a challenge. An untrained or careless cleaners can cause color bleeding, discoloration, or shrinkage if the wrong method is used. Our expert technicians will inspect the customer’s upholstery and select the most appropriate method using the proper equipment and products. Our upholstery cleaning services are non-toxic, safe for all types of fabrics, able to remove stains, decrease the effects of wear while also extending the life of the upholstery, and can even eliminate persistent odors. All upholstery services will be cleaned on-site and will be ready for use the following day. ServiceMaster Clean provides various commercial cleaning services, including pressure washing, chewing gum removal, and window washing. The exterior of a building is just as important as the interior, and pressure washing (or power washing) can aid in preserving that exterior. Our pressure washing process is thorough and efficient, and will not leave any gouging or scarring on the surface. Whether constructed with brick, concrete, wood, or other materials, our services will ensure the building is properly cleaned. As part of our pressure washing services, we can remove unsightly chewing gum from parking lots, sidewalks, or floors. The machine used in this process steams chewing gum off of almost any surface, safely and efficiently. Window cleaning is both an interior and exterior task. Depending on the number of windows, their size, and location on the building, this can often prove to be a difficult task. Other factors like landscaping, weather, and location in high-traffic areas can also contribute to the difficulty of cleaning windows. ServiceMaster Clean offers both interior and exterior window cleaning and can reach even the most hard-to-reach windows. A professional will visit the location to determine the number of windows that need to be cleaned, whether or not they will require special circumstances in order to perform the job, and will work with the customer to establish a schedule for the cleaning. ServiceMaster Clean offers a variety of industrial cleaning services. One such offering is a process known as dry ice blasting. Dry ice blasting is a non-abrasive cleaning method that is ideal for cleaning food processing equipment or other equipment that might otherwise require disassembly to thoroughly clean. The EPA suggests dry ice blasting over solvent-based cleaning methods, as the process can decontaminate surfaces of E. coli, listeria, and Salmonella bacteria without the use of chemicals. Construction sites are particularly challenging spaces to clean. ServiceMaster Clean offers post-construction cleaning services to ensure a space is cleaned up and ready for opening day once a construction project is completed. These services are also available between stages of construction as well. Post-construction cleaning will remove all dirt, dust, scuffs, and grime from a construction site. ServiceMaster Clean is available as a subcontractor for post-construction cleaning services. Certain precautions must be taken when cleaning industrial facilities. Due to the risk of dust explosions, OSHA recommends–and sometimes requires–explosion-proof vacuums be used in the process of removing dust from industrial spaces. ServiceMaster Clean is one of only a few providers in the Wytheville area to provide explosion-proof vacuum services.